1) Found in northeast Africa, the Nile has long been recognised as the longest river in the world – stretching a massive 6,695km! There is some debate over this title, though – some scientists argue that the Amazon river in South America is longer. 2) The Nile is often associated with Egypt, but in fact, it flows through 11 countries: Tanzania, Uganda, the Democratic Republic of the Congo, Rwanda, Burundi, Ethiopia, Kenya, Eritrea, South Sudan, Sudan and Egypt. 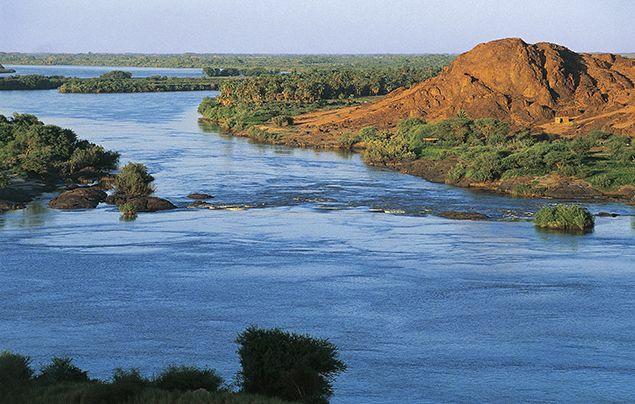 3) This mighty river has two main tributaries (branches, or smaller rivers or streams) which meet to form ‘the Nile’. One tributary is called the White Nile, which starts in South Sudan, and the other is called the Blue Nile, which starts in Ethiopia. 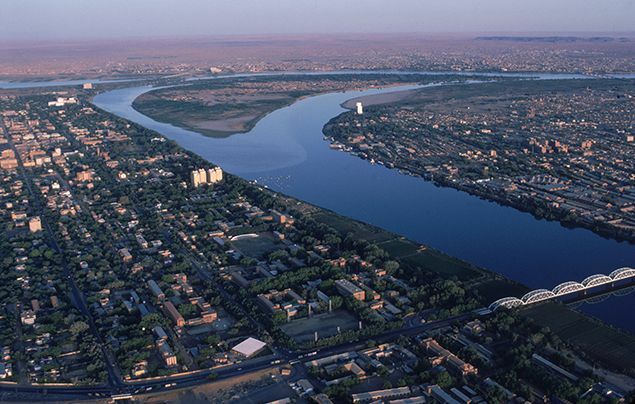 4) The Blue Nile and White Nile merge together in the city of Khartoum in Sudan. From there, the river continues to flow north through Egypt and, finally, into the Mediterranean Sea. 6) But how did the Nile allow the Ancient Egyptians to farm on dry desert land? The answer is that the river flooded every August! And when it did, all the nutrient-rich soil carried in the water spread across the river banks, leaving a thick, moist mud… Perfect for growing crops! 7) The Nile no longer floods each year, however. This is because in 1970 the Aswan High Dam was built. This huge dam controls the flow of the river to generate electricity, irrigate (water) farms and provide homes with drinking water. 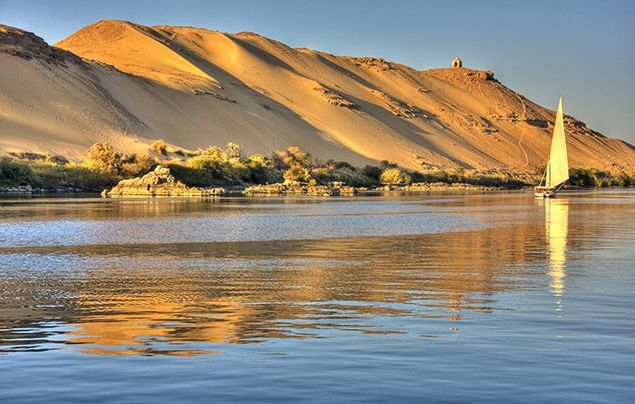 8) This fascinating river remains an invaluable source of life for Egyptians to this day. More than 95% of the country’s population depend on its water and live within a few miles of the river banks. 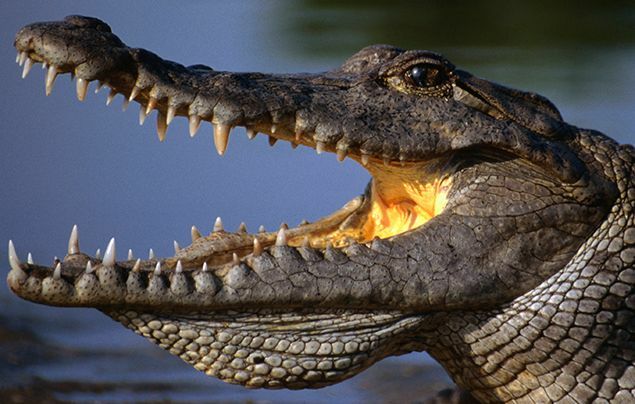 9) And it’s not just important for humans – the river and its banks are home to lots of wonderful wildlife, too – including different kinds of fish and birds, as well as turtles, snakes, hippos and one of our planet’s largest reptiles… the Nile crocodile! 10) Such an incredible river is cause for celebration, wouldn’t you say? The Egyptians sure think so! Each year in August, they have a two-week holiday called ‘Wafaa an-Nil’ to celebrate the ancient flooding of the Nile – an important natural event which allowed their civilisation to grow! What do you think of our Nile river facts? Leave a comment below and let us know!